And you’re in - clicking on ‘Upload’ over there in the top right is where you can load new sound clips. That will open a pop-up window, and you just need to copy the url at the bottom of that window and then paste it into your post in the forum. and you’ll be able to record straight into your mobile phone, and it will upload automatically (you’ll still need to go through the steps above to share it to the forum, though). Hmmm… so the interface is different - are you on an Apple or Android device? What navigation can you see? So I have found that I can’t set it up in my iPhone so I am trying my laptop and it has brought me to the right place place now. Just need to figure out how to record a clip now. I’m somewhat bemused to discover I already had a SoundCloud account, although I have no recollection of opening an account there and I had no idea what my password was so I had to change that. But now I’m stumped. I have NO idea how to record anything to upload there. I don’t own a smartphone or any other mobile device that might have a microphone and a way to record stuff. @brendahalliwell and @shirleysmith are you using Windows on a PC? If so there should be a built in sound recorder function in the start menu. That’s what I use. 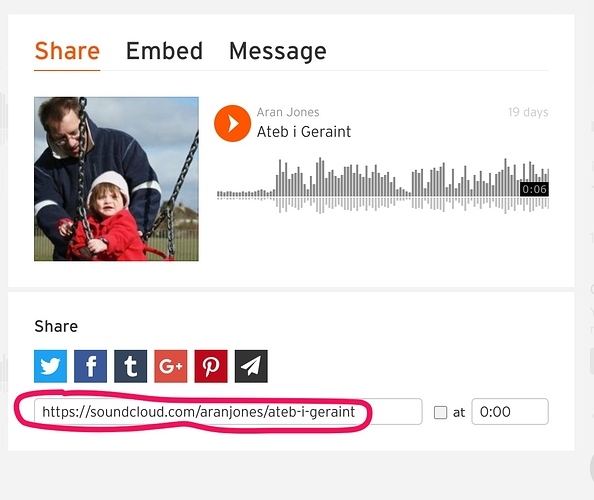 I record on that, it saves to a folder in ‘documents’ then in Soundcloud I upload it and can copy the link as in Aran’s post above into the forum. I have recorded my Welsh word but it won’t upload!! Sorted it out now!! And shared on Slack! I am using Windows on a PC, but I don’t see a sound recorder function anywhere. Although, to be honest, I have no idea what that would look like, so there might be one that I’m just not seeing. So I’ve made an account and have the app on my phone, but google says you can no longer record/upload on the app and has to be through a desktop. I only have an iPad at the moment (backpacking leaves little room for computer!) which I can at least get through to the upload page. The only option I have is ‘choose a file to upload’ then it only lets me pick from photo or video. So question is, will uploading just a video of me talking instead of a sound clip work? Or am I missing something else totally obvious? The only workaround I can think of would be using an app. I’m not sure if you are on the 6MWS course but people have posted their iOS workaround for uploading sound clips on there. I use AudioCopy then upload to my YouTube channel. As AudioCopy won’t upload to Soundcloud for some reason for me. The only option I have is ‘choose a file to upload’ then it only lets me pick from photo or video. Thanks:) I’ll try a couple of apps see if they work then if all else fails I’ll brave a video😂 and yes I’m on the 6M course. There is a good explanation in the Slack group on the way a few people got recordings from iOS platforms on to Soundcloud. I’ve posted my way on Slack as well in case it helps anyone. I installed a free app called Voice Record Pro on my iPad Mini last year. It makes very clear, good quality voice recordings. I’ve just tested it, and it has an option to save the file to SoundCloud. 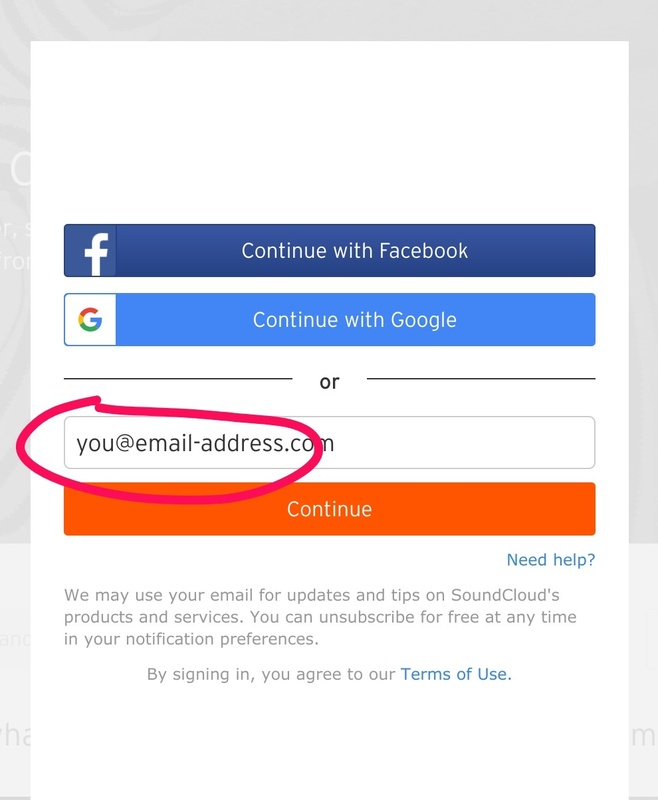 You need to set up a SoundCloud account first, but then it works a treat. I presume it would work for iPhones as well. Finally figured it out! I hate Windows 10, everything is either hidden in weird places, or named in ways I’m not expecting. Un-upgrading wasn’t an option for me. I bought a new laptop as I was afraid the old one (Windows Vista) would soon die…and it came with Windows 10 already installed. Vista is so much easier to use! Hello Siaron. I recorded on my iPhone, plugged my phone into my laptop and dragged the file into my soundcloud. For some reason there is no record button on the new version of SoundCloud. I guess I forgot to then put it into the forum.